The Scholarly Activities Report provides reporting on the Scholarly Activities section, such as publications and creative productions. 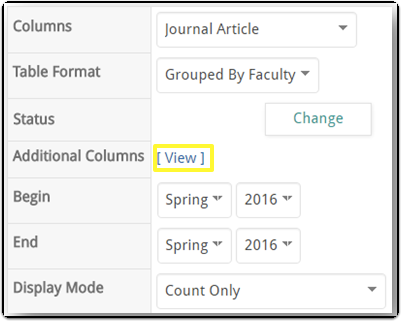 How many entries exist (by College) for each Scholarly Activity sub-type for Spring 2016? 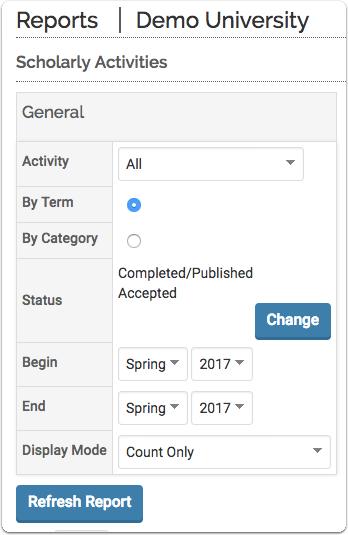 How many Journal Articles (in Completed/Published or Accepted status) does a particular faculty member have for Spring 2015 to Spring 2016? 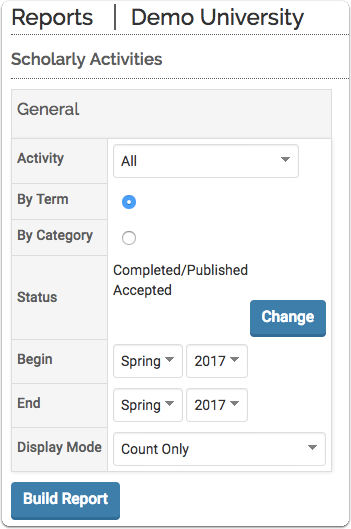 How many Scholarly Activities (in Completed/Published or Accepted status) have an Activity Classification specified as Contributes to Engagement for Spring 2016? To access the report, click the Admin section, then click Reports. The Reports screen displays. 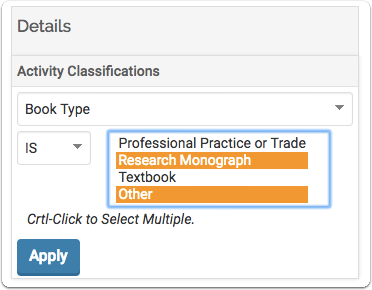 Select Scholarly Activities (under Activity Reports). Activity: Select the Activity for the report. Note: Select All to include all activities. ByTerm or By Category: Select the grouping option (either term or category). Status: Select the Status options to include in the report. More than one status may be selected. To modify the status selections, click the Change button. To clear an Activity Classification, click the next to the filter. For example, click on the Journal Article hyperlink for the College of Business to view the totals by a faculty member in the College of Business. The totals for each faculty member display. 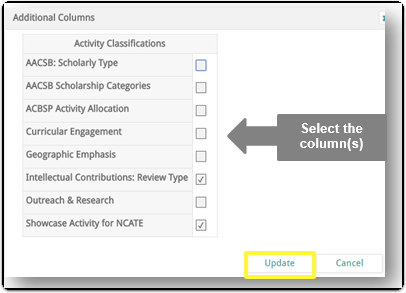 To view the report using a different scholarly activity, select the scholarly sub-type from the Columns drop down and select any additional criteria, as needed. Then click the Refresh Report button. 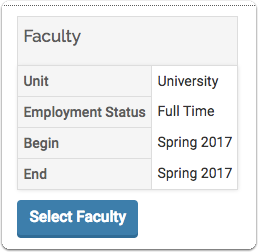 To drill down further and view the details for a specific faculty member, click the number hyperlink associated with the faculty member. For those sections that can have more than one record per faculty member (i.e. Journal Article, Book, Chapter, etc. ), the report can be grouped by faculty. Select By Term or "By Category' from the Table Format drop down. To add a column to the report, clickView. A list of additional columns display. Select the columns to be displayed in the report and click the Update button. 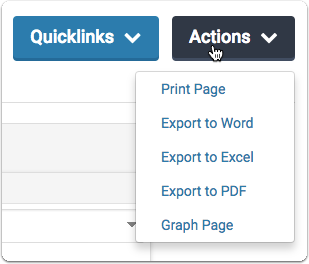 Select Quicklinks>Add This Page as a Quicklink (from the menu bar at the top of the page).